Air Conflicts: Secret Wars is okay. 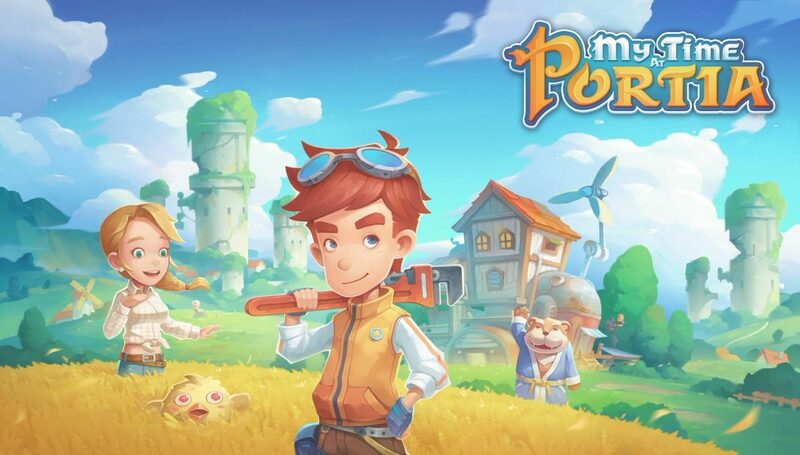 I know, I know, that’s literally the most milquetoast, noncommittal way to describe a game, but there’s really not any other way for me to describe it in an honest way. It’s certainly not a bad game. The gameplay was fine, I didn’t notice any major issues, and I even had a little bit of fun with it along the way. But those three things just aren’t enough to propel this game squarely into the “good” territory. Almost all of this game’s “not bad” elements are met by an equally strong “not overwhelmingly great” ones — a true middle-of-the-road experience — and its this middling nature that ultimately causes Secret Wars to stall. Some things are just worth fighting for. 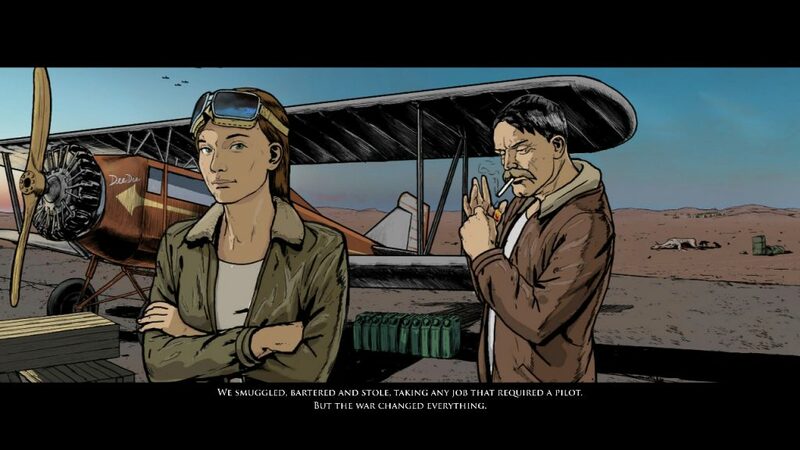 Air Conflicts: Secret Wars follows the story ace pilot Dorothy “DeeDee” Derbic as she, with the assistance of her friend and guardian Tommy Carter, attempts to solve the mystery behind the death of her father, a World War I pilot. Unfortunately for DeeDee, however, the truth that she seeks isn’t one that’s going to make itself apparent so easily — and the looming threat of World War II isn’t exactly making her journey an easy one, either. Despite this, DeeDee is still determined to see things through — even if that means participating in the war (something to which she was very much opposed) herself. I’ve got to give credit where it’s due — Secret Wars’ plot is fairly solid given the kind of game that it’s taking place within. Truth be told, I wasn’t actually expecting much of a plot at all, and I certainly wasn’t expecting it to take center stage as much as it did, but its inclusion still comes as a welcome surprise. Despite being a relatively simplistic aerial combat game, Secret Wars‘ plot actually gives meaning to what the player is doing. And, while the game might overdo it a tiny bit on the exposition here and there — there were a few times where the story carried on more than it needed to — it still ends up helping the game much more than it hurts it. Watch where you’re aiming! No, seriously! Air Conflicts: Secret Wars is all about soaring high and fast through the skies, so it shouldn’t come as a surprise to hear that aerial combat is its bread and butter. 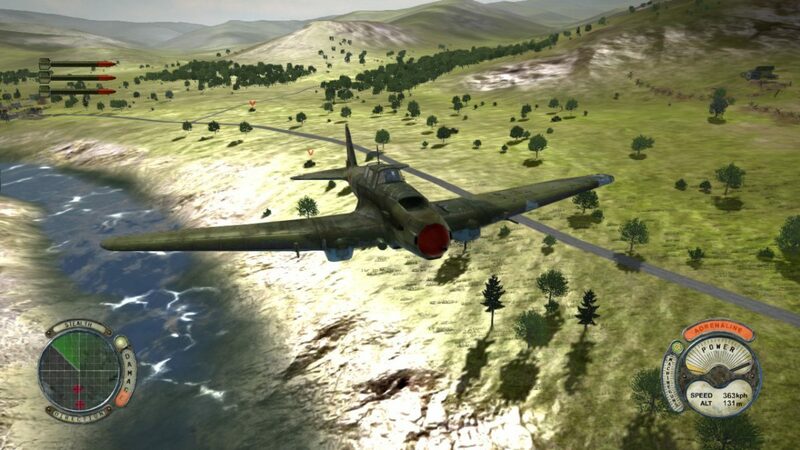 Nearly every level within the game’s 49-stage campaign will plop players into a dogfight against increasingly numerous (and aggressive!) enemy plains through which players must fight their way out of. Mechanically speaking, Secret Wars performs in a very satisfactory manner. 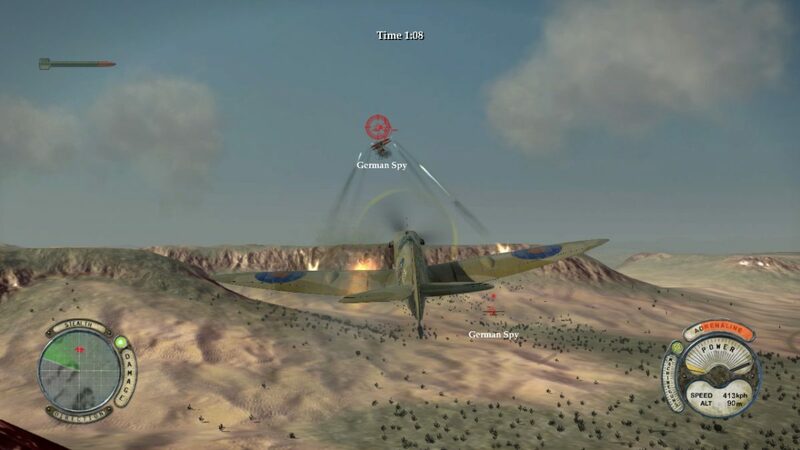 The controls are smooth and responsive, unlocking and getting the hang of new planes is fun, and taking down an enemy plane feels rewarding — especially if they’ve been giving you trouble. Aerial adversaries aren’t the only thing that Secret Wars throws at players, however; there’s plenty to contest with on the ground as well. 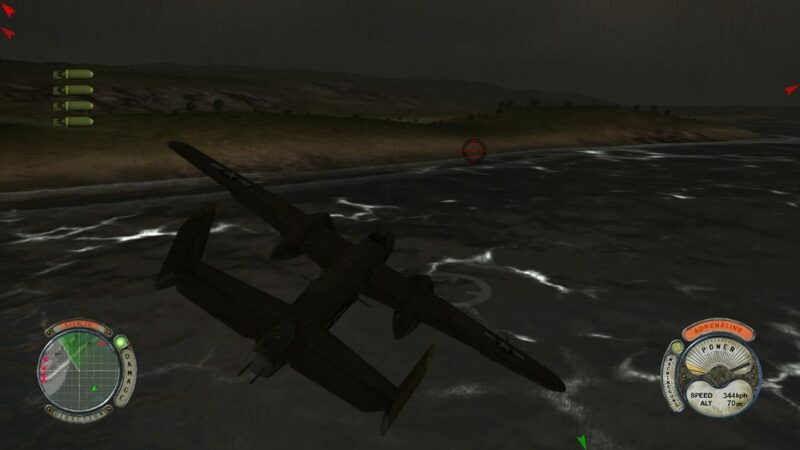 Many levels also feature air-to-ground combat (it probably has a more official name, I’m sure), meaning that players will need to get good at picking out small target on the ground (most of which don’t move, fortunately), and will also need to work on their dive-bombing skills should they wish to level the competition. Interestingly enough, grounded enemies, despite generally being less dangerous than those with whom you’re sharing the sky, tend to be a little more difficult to take down. Because the game borrows semi-realistic plane mechanics, you’re not going to have a gun capable of contorting itself to pick out enemies below you; shooting at the ground means you’re flying toward the ground. And if you’re not good with distance and timing, it also means crashing into the ground. While, mechanically speaking, I once again don’t have much to complain about, I can’t help but feel that Secret Wars relied a little too much on this aspect. Having to constantly stop post, or even mid, dogfight just to start shooting at the ground isn’t terribly fun — and it starts to get downright annoying after a while. Taking down grounded opponents can be a challenge, but practice makes perfect! I’d like to finish this section by talking about what I consider to be the most middling thing about Secret Wars of all — the fact that it never tries to expand past its comfort zone when it comes to combat. Secret Wars, as you can see, doesn’t do anything egregiously offensive when it comes to its gameplay. Heck, it doesn’t do anything even midly offensive — I almost wish that it had. Sure, soaring through the skies and pummeling your opponents with a barrage of bullets is fun, but it gets kind of same-y after a while. Variety has always been the spice of life in video games, and it’s no different for this one. 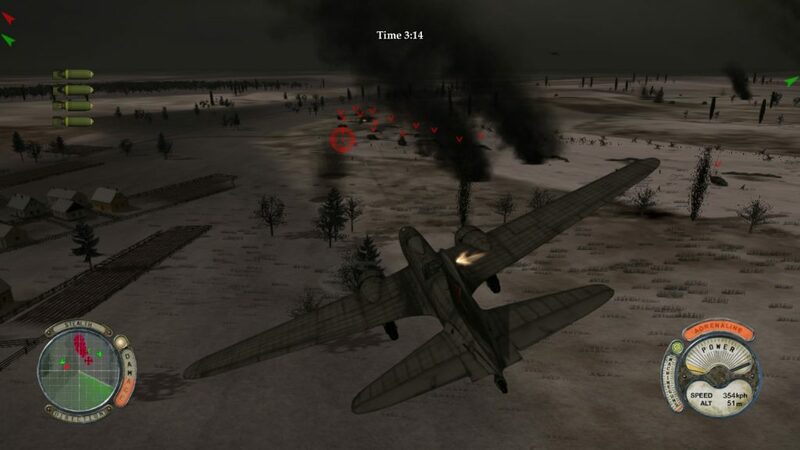 I’m not asking for anything wildly different — it could be something as simple as diversifying enemy aircraft and vehicles — but as it stands, this is a game whose plentiful combat scenarios all begin to run together after a while. And that’s never a good thing. Stealth missions are basically just a matter of staring at your radar for the entire level. High-flying combat may be the focal point of Secret Wars, but it’s actually not the only thing that the game has going for it. Peppered throughout your many battles are sections that involve a more tactful approach. 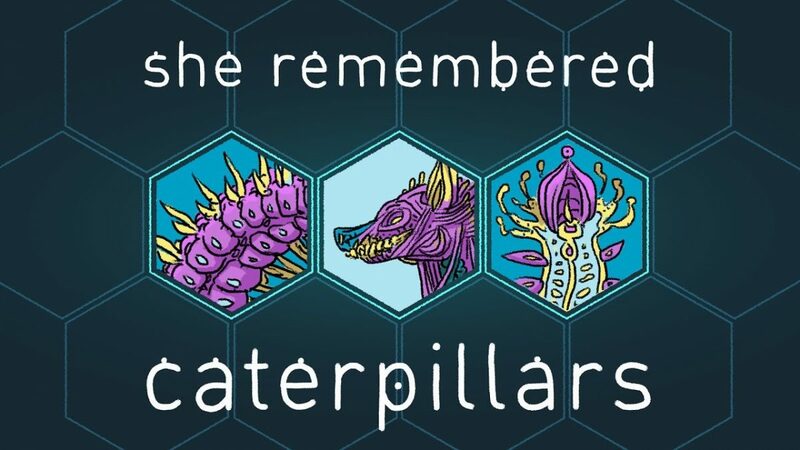 Most of the time, this comes in the form of a stealth mission which, as the name implies, require players through quickly fly to their destination without being spotted. As a concept, stealth missions are neat. I don’t think that I’ve ever done something quite like that in a video game, and I had fun with it… the first time, anyway. Despite its unique premise, stealth missions end up being just as same-y as the rest of the game — and much less exciting, to boot. Steering clear of opponents generally isn’t too difficult, and once you get the hang of things then flying from Point A to Point B becomes mundane rather quickly. 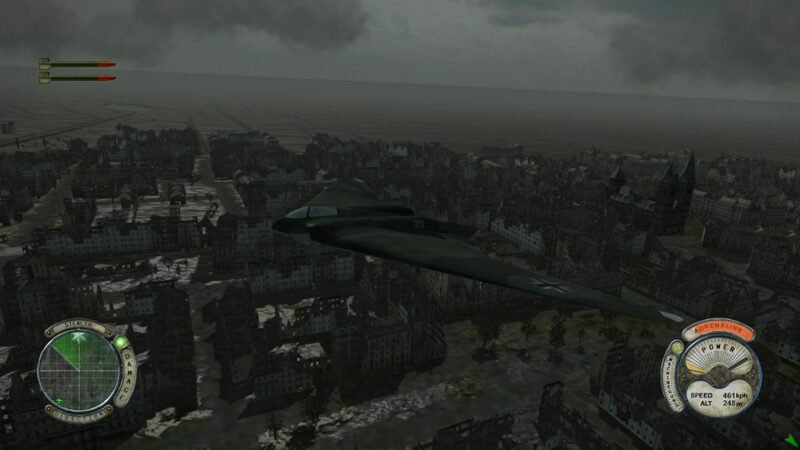 Outside of being a spy on the fly, Secret Wars features a handful of other roles for players to take on that aren’t exclusively focused on combat, such as tracking down hidden locations via radar and dropping off people to specific destinations (which generally does lead into combat), but each of these ultimately ends up sharing the same fate as stealth missions — they’re fine. A little boring, but fine. And that’s a shame, because I know that this game could do better. Take the level where you’re shooting down enemy paratroopers, for example (not glamorous, I know, but stick with me). There’s literally only one level where you do that and, while one level of that is enough for me, it shows me that the developer is actually capable of expanding the gameplay experience for the player — and the fact that the game instead merely teases the player with a single non-traditional level is baffling indeed. This game has the potential to come and go very quietly. By now I’ve said this enough that it’s worn out its welcome, but, as with the beginning, there’s no way to conclude things than by saying that Air Conflicts: Secret Wars is okay. It’s just fine, and that’s all that there is to it. If you’re a history buff or just really into planes, then there’s a decent chance that you might like this — more than decent, even. But it’s not going to win you over in the same way that other games can. It does have potential, though, so here’s to hoping that the next one will be that much more polished. Full disclosure: This review is based on a copy of Corpse Party: Air Conflicts: Secret Wars given to Hey Poor Player by the publisher.